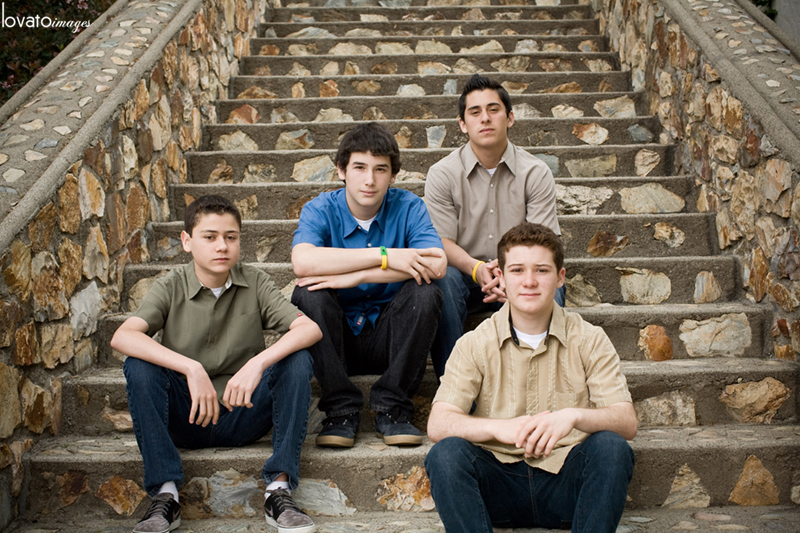 Joe and his sister Paula scheduled portraits in Fullerton of their four boys for their mother’s (or the boys’ grandmother’s) 70th birthday. 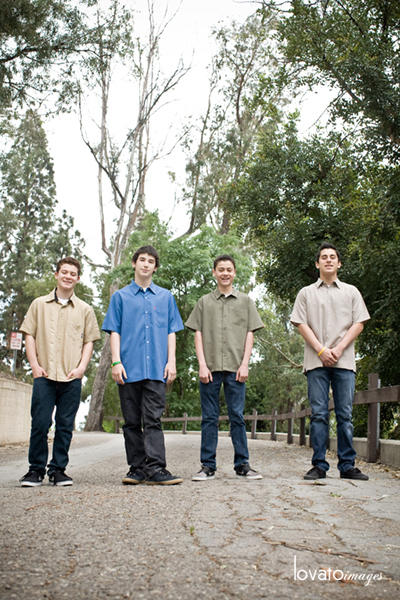 Aged 14-17, these four brothers/cousins were a blast to shoot at the really cool Hillcrest Park. I love working with high schoolers because their perspective and attitudes are so interesting at that age. I remember the way I thought and felt in high school and it’s a trip to interact with kids who are in that crazy stage. So we had a good time. Got some good images. Sent them the proofs, they loved, ordered their prints and then the disc and were going to order a canvas, and we were about set. But then Paula emailed me one morning about a week later…and with a few tears I realized that the importance of my work reaches depths that I most often don’t even know of…influencing people and their lives in ways I never could have envisioned through my viewfinder vision. Hi Jackie – I wanted to share with you an email from my brother regarding one of the photos you took – how powerful it is to us. I think I have read this 10 times and cried each time. Joe will be instructing you on which one for the canvas, I don’t want to confuse you about that. I just knew you could appreciate his sentiment here. Let’s make a decision today / tonight if possible as I want to get this to the canvas place and try to get the picture in time for Mom’s party. Take a long look at picture #1. The boys are sitting on steps very similar in style and construction to those that grandpa used throughout the home they built. As discussed, the era is also from this same great depression that provided Grandma and Grandpa with such tremendous challenge and more important, opportunity. 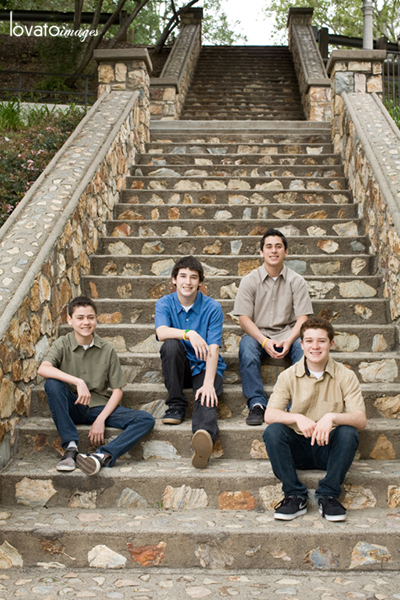 I see these boys sitting at the bottom of a long set of strong steps pointing upward and believe they have the opportunity to climb a path provided for them with the hard work of those who came before. As I look up though the steps in the photo and into the sky above I believe and feel Dad looking down on them, smiling, and I hope influencing their lives.